In a world crowded with special effects and lots of screen time, the performing arts are as important as ever before. From May 24 –27, immerse your kids into the world of performing arts with the Calgary International Children’s Festival. Kids will use their imaginations to engage with live performances; not to mention, attending the theatre is a great way to breakaway from screen-time as an engaging activity for the whole family. While all genres of performing arts are captivating and fun, Kidsfest understands that even with tiny tots, it’s important that shows interest both kids and their parents. The range of performances at Kidsfest is just as noteworthy for the themes and style of the production as for where the artists come from and what age groups will enjoy them best – there’s something for everyone! 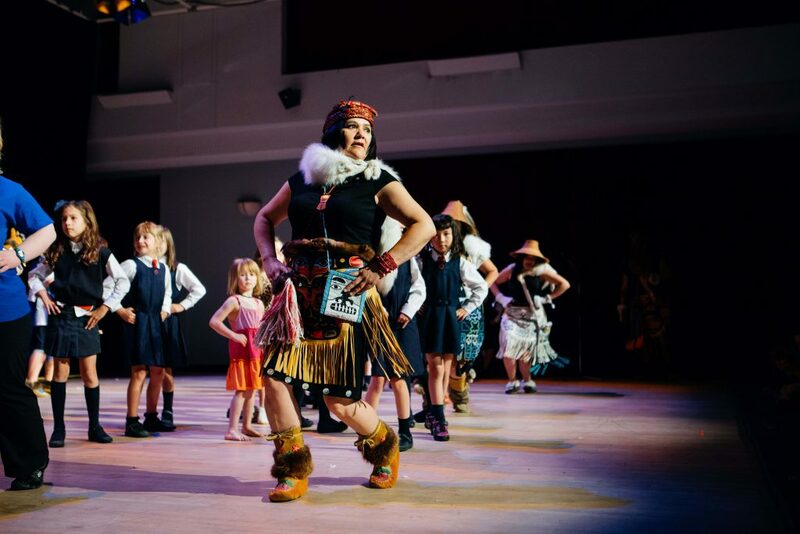 Tiny tots can enjoy an interactive performance from local dance and theatre group Bach Tots in Go Go Peekaboo or kick-up their heels and dance with JUNO Award winning musicians The Swinging Belles. For those still inclined towards special effects, the darkness of the black theatre in Moon Mouse: A Space Odyssey will immerse the whole family in a spectacular, larger than life glow-in-the-dark world. For families looking for shows with good social messages, playful puppets tell a hilarious yet touching story of renewal in The Man Who Planted Trees and A Heart in Winter will engage and delight children with an enchanting adaptation of Hans Christian Andersen’s classic tale The Snow Queen. Or, combine the excitement of hip-hop with the magical world of childhood for one cool kids’ concert by 2017 GRAMMY Award winning artist Secret Agent 23 Skidoo. And that’s just the beginning! After enjoying one of the critically acclaimed performances, bring the kids outside to spend some quality time on Olympic Plaza with a wide range of free activities and entertainment. There will be storytelling, dance workshops, roving artists, magicians, face painting, crafts, games, a Canada150 Wishing Wall and more! When you’re still small enough that your feet don’t touch the ground while sitting in the theatre, a day at Kidsfest can be the making of a lifelong love affair with the performing arts. For now, start off by awakening imaginations and introduce children to the enchanting world of live performances with fun, affordable family entertainment at Kidsfest 2017. For more information and to purchase tickets visit www.calgarykidsfest.ca Don’t wait until its too late – May is just around the corner! This entry was posted in Uncategorized on April 21, 2017 by Calgary's Child. 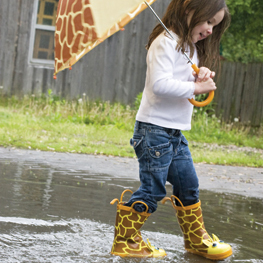 Spring has sprung, but that doesn’t always mean the weather is great for outdoor fun! Fortunately, Calgary has fantastic indoor events during April and May which can be enjoyed no matter what the weather is. This entry was posted in Uncategorized on April 17, 2017 by Calgary's Child. Easter is Hopping into Calgary! 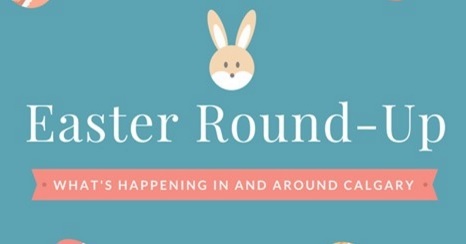 There are tons of great events all around the city to celebrate Easter and the coming of spring! Here’s our top picks for spring celebrations around town. April 8 and 9 and April 14 & 15; The Butterfield Acres Easter Hunt is specially designed for youngsters 7 and under. The Legend and Hunt run every 20 minutes starting at 10am. Tickets include: The Legendary Easter Egg Hunt; a springtime craft for each child; a visit in the farmyard with new spring farm babies; and a little something yummy for kids to take home! For more information and to purchase tickets, visit the website! Photos with the Easter Bunny at Bass Pro Shop! Customers will receive a FREE 4×6 print of their photo. Give us your email for a cute Digital Easter Card or purchase a photo package! Join them in-store and complete a fun craft with the kids! On Saturday April 15th, come in for an easter egg hunt from 2-3pm! Visit the website for times, locations and more details. April 11; Two times available: 9:30 to 11:30am & 6:30 to 8:30pm. Celebrate the Easter season. Make Easter crafts for your family and friends, and enjoy some light refreshments! All ages + adult. Visit the website for more information. Photos with the Easter Bunny at Southcentre Mall! April 13 – 15; Show us your best bunny ears! The Easter Bunny will be at Southcentre Mall from 11am to 4pm on Thursday April 13th, Friday April 14th, and Saturday April 15th! Visit the Bunny Burrow, on the lower level beside Sears, and have your photo professionally taken with the Easter Bunny! One sheet of photos is $10, each additional sheet is $5. In the spirit of Easter, Southcentre Mall and Wishlist Productions will being making donations to Calgary Health Trust in support of the development of a specialized pediatric emergency unit at South Health Campus. April 14 & 15, 9am to 2pm; In Partnership with Calgary’s Child Magazine. At the Calgary Zoo, jumping is strongly encouraged! Bounce around the Zoo and experience multiple event zones bound to keep your family hopping all day long. All activities are free with regular admission. For more details on this egg-stra special family-friendly event, visit the website. April 14, 10am to 11:30am; Join for a fun-filled morning collecting dog-treat filled Easter eggs on the southwest lawn of Calaway Park! All funds raised will go to support National Service Dogs mandate of raising and training accredited service dogs for individuals with special needs. Everyone leaves with prizes, with the highest fundraisers being eligible for Big prizes! Visit the website for more information. April 16; Don’t miss out on free swimming at Acadia, Inglewood, Killarney, and Churchill Aquatic Centres! For times at specific facilities, visit the website. This entry was posted in Uncategorized on April 4, 2017 by Calgary's Child.